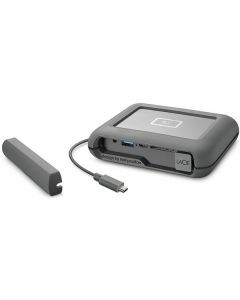 The LaCie DJI Copilot is a backup on set solution with built-in SD Card slot & USB port that allows you to offload media from cameras or drones without the need for a computer. Make stunning videos for film, TV, and web with a one-month membership to Creative Cloud. Explore the entire collection of desktop and mobile apps—ranging from essentials like Adobe Photoshop CC and Premiere Pro CC to innovative new tools like Adobe XD.